I have some programming background but I’m more of a power user than power programmer. 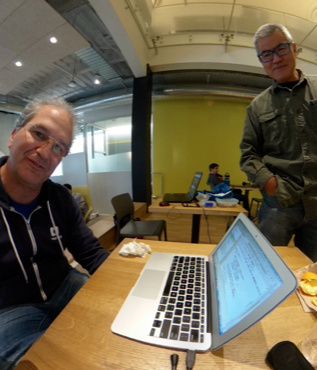 I think there are a lot of people like me who use the RICOH THETA 360 degree camera. The THETA is a fantastic camera to program and extend, and I’ve seen many interesting use cases for both industry (construction, real estate, used car sales, virtual tours/tourism) and well as fun hobbies (the Meow Shot! plug-in makes the camera meow out loud and take a picture when your pet cat comes close). I’ve wanted to program a plug-in myself cause I have a couple ideas on how I could make something useful and easy to use. But this is cutting-edge hardware. THETA has sophisticated lens and sensors, at least two different APIs, and no screen to help with testing. I was worried it could be slow going for me to build a plug-in for it. With the help of @codetricity and Shiro Hideki’s extremely useful theta4j library built for the THETA, I started with a blank screen, and was able to quickly move to building a functioning plug-in for the THETA. I found this method easier than going through the SDK or the 25 sample plug-ins listed in the THETA Plug-in Development Getting Started Guide. The result is my new “Pretty Picture” plug-in, that I am submitting to the Plug-in Store today. It’s aimed at people who don’t want to use a mobile phone with the THETA (I believe this is common) and who want to be able to tell at a glance if there’s a picture being taken or what’s going on. It takes 4 pictures in a row, so you can pick the best one. It has a unique, pretty pink Wi-Fi icon while the plug-in is on. You’ll never be confused. And that pink icon is blinking when pictures are being taken. You can place the THETA somewhere for taking pictures and still know its status. Simple, clear, easy! It was super cool to be able to think through how someone really uses the camera and build a plug-in to make that even easier. By starting with a completely empty project in Android Studio, I was able to get a clear understanding of the simple commands to control the LEDs, take pictures, and detect button presses. Practicing a technique over and over - like a Kata in a martial art - will make you proficient. Practice, practice, practice. In the next sections, I have written down the exact steps to create a THETA plug-in from scratch. Follow the steps in this tutorial and you will be able to build a fully functioning plug-in. Once you follow the steps and have a plug-in, you’ll be able to take pictures, change the UX by changing LED actions like color, on/off, blinking, add audio and more. Sticking with the idea from martial arts, I have broken the step for building a plug-in into 4 different Katas. Android Studio will ask you to Sync Now. Wait until you do the next step. Make sure your THETA is connected by USB and is powered on. Android Studio will ask to Set Deployment Target. You should see QUALCOMM RICOH THETA V listed. Select OK.
Vysor will show a Hello World! screen and the name of your plug-in will be in the green bar near the top. Since your plug-in is set as the boot plug-in and you’re already in Plug-in Mode and your plug-in currently starts up and the one thing it does is set LED3 to MAGENTA, as soon as it finishes building, you should see the Wi-Fi icon turn to a nice pink (magenta) color. Congratulations! 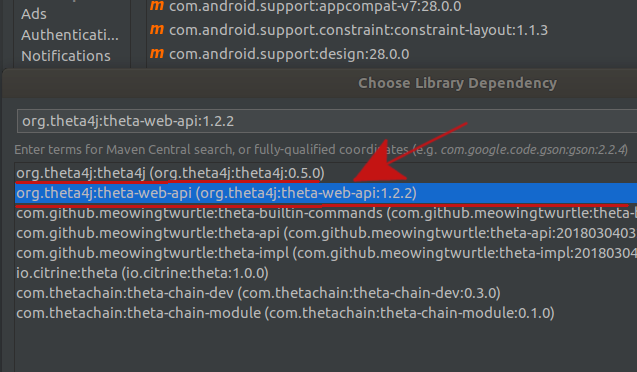 You have built a fully functional THETA plug-in from scratch! Now that you’re at this point, you can add quite a bit of functionality and create plug-ins that take more advantage of many of the THETAs cool and interesting functionality. So, create your own plug-in and submit it to the Plug-in Store. You can do it today!